I have never grown Cabbages before this year I have to admit, let alone grown organic Cabbages. It was a big learning curve but I successfully picked my first Cabbage this week. It is so good I want to share my enthusiasm for growing this great plant. Oh and I grow organic because I know it is good for my family. Cabbages are one of the oldest know vegetables and are amongst the first vegetables to be cultivated. Way back in the 14th century there are records of cabbages and they think it was grown way back in 3000 BC! People must have realized early on that these leafy vegetables made a tasty treat. I am not sure why I put off growing them before, to be honest. But I was determined to grow them after last year’s success with Purple Sprouting Brocolli, in another bed. Another thing about Cabbages you can grow them all year not just in the summer! I love that. 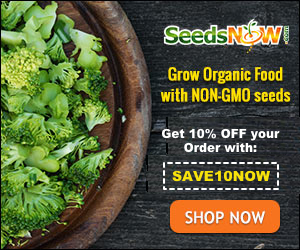 Pick a reputable organic source if you can like Seeds Now which provide 100% GMO-free Seeds and 100% Heirloom Seeds. I can highly recommend them as I brought seeds from them. Cabbages can be either sown directly in the ground outside or in seed trays. If you only want a few cabbages, it is best to sow in seed trays, then transplant outdoors. I planted mine in Cheap and Cheerful Seed pots to plant out late cabbages are sown into a seedbed, a site away from your main vegetable plot, then transplanted later in the season. This is because cabbages take up a lot of room early in the growing season. Space where you could be growing fast-maturing crops, such as lettuce. However, there is nothing stopping you sowing your cabbages into your main vegetable plot, at their final spacings, which is 30-45cm (12-18in) between plants and rows, depending on the cabbage type. Varieties of Cabbages, so you can grow all year. Spring cabbage: like “April” and “Greyhound” Sow in July/August; transplant in September/October. Summer cabbage:‘Caramba’, ‘Elisa’ and ‘Castello’ Sow from late February/early March (under cloches or similar cover) until early May; transplant in May/June. Winter cabbages: “Tundra” “Savoy” Sow in April/May; transplant in late June/July. No matter if you are sowing into a seedbed, or into the final growing position. Thoroughly prepare the soil by raking the surface to create a fine, crumbly texture and sow thinly at 1cm deep. When Planting them is give them a big drink of water and water them well when they are forming heads. Don’t let them dry out! Common Problems of Organic Cabbages or my battle with a butterfly !! Since May, a cabbage white butterfly and I have been in a battle over my cabbages. Every day since she first turned up in my garden I have been on the hunt for her yellow eggs and removing her offspring before they eat my cabbages. So far I am winning although she won one, I found the offending caterpillar and removed it before they ate too much. Club root is caused by soil-borne fungus and causes your plants to wilt. Prevention is the only real cure and that is done by crop rotation and keeping your site clean. Have good draining soil and never plant in infected soil. Cabbages are harvested by cutting through the stem just above ground level with a sharp knife. Cut a 1cm (½in) deep cross in the stump of spring and summer cabbages and you’ll be rewarded with a second crop of much smaller cabbages. Place bacon in a large deep stockpot or saucepan. Cook over medium-high heat until evenly brown. Stir in potatoes, tomatoes and beans and enough chicken stock to cover. Season with salt and pepper. Bring to a boil, reduce heat and let simmer for 20 minutes, or until potatoes are tender. Wow that’s so awesome you grow your own cabbage!! They look beautiful and I bet they taste better than any store bought cabbage. I have never grown cabbage either. I am intrigued but I fear that the raccoons in my backyard will eat it before I get anywhere on it. Luckily I don’t have to deal with Raccoons Elise! That is pretty good 🙂 They are scavengers. Sadly they try to eat our fish too. Great advice! I had no idea there were cabbages for seasons other than summer. I’m trying to grow a few things for the first time this year. If it goes well, I’ll have to give cabbage a try! Pinning, I need to make that soup. Thank you for sharing. Thank you for this useful information! When I have tried growing items in the cabbage family before, I really struggled with the Cabbage White Butterfly – she won against me! I appreciate the tips and will have to try again!